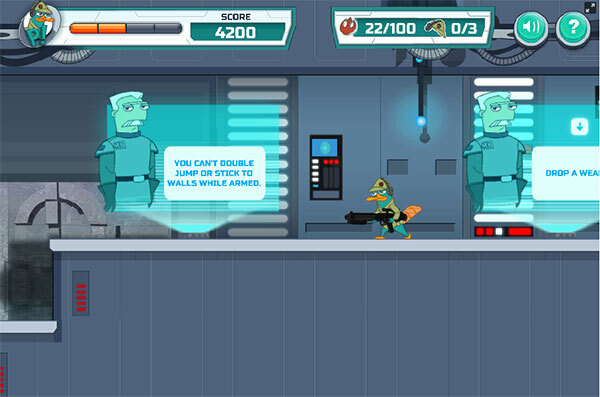 Agent P Rebel Spy - the action and adventure game with the main character is the platypus called Perry. Taking part game Agent P Rebel Spy you, along with the guy Perry, will discover the secret blockhouse of the ugly and save arrested people. On the computer, use to move and use to take the gun and attack. On the mobile phone touch and turn the screen to play. Dowloand the version Điệp vụ Perry cho Windows to play in your computer. Note traps on the way! 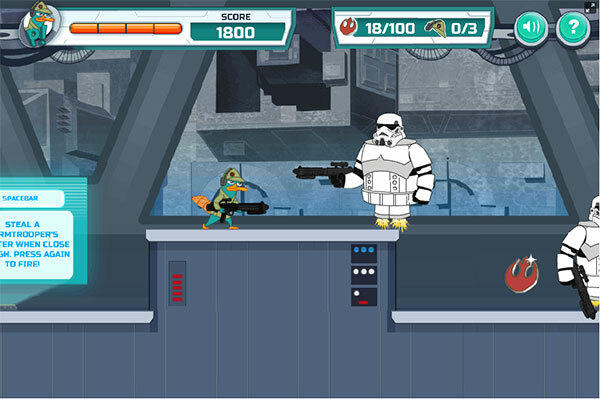 Game Agent P Rebel Spy played 473.616 times.